Only by integrating the three C’s (Customer, Corporate, and Competitor) in a strategic triangle, a sustained competitive advantage can exist. Ohmae refers to these key factors as the three C’s or the strategic triangle. A case of make or buy. In case of rapidly rising wage costs, it becomes a critical decision for a company to subcontract a major share of its assembly operations. If its competitors are unable to shift production so rapidly to subcontractors and vendors, the resulting difference in cost structure and/or in the company’s ability to cope with demand fluctuations may have significant strategic implications. 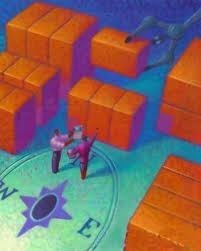 To share a certain key function with the corporation’s other businesses or even with other companies. Experience indicates that there are many situations in which sharing resources in one or more basic sub-functions of marketing can be advantageous. Clients are the basis of any strategy according to Ohmae. There is no doubt that a corporation’s foremost concern ought to be the interests of its customers rather than that of its stockholders and other parties. In the long run, the corporation that is genuinely interested in its customers will be interesting for its investors. Segmenting by customer coverage. This type of strategic segmentation normally emerges from a trade-off study of marketing costs versus market coverage. There appears always to be a point of diminishing returns in the cost-versus-coverage relationship. 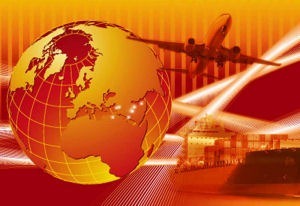 The corporation’s task, therefore, is to optimize its range of market coverage. Be it geographical or channel. So that its cost of marketing will be advantageous relative to the competition. Tactics for flyweights. If such a company chooses to compete in mass-media advertising or massive R&D efforts, the additional fixed costs will absorb a large portion of its revenue. Its giant competitors will inevitably win. It could however calculate its incentives on a gradual percentage basis, rather than on absolute volume, thus making the incentives variable by guaranteeing the dealer a larger percentage of each extra unit sold. Of course, the big three market playerscannot afford to offer such high percentages across the board to their respective franchised shops; their profitability would soon be eroded. Hito-Kane-Mono. A favorite phrase of Japanese business planners is hito-kane-mono, or people, money, and things (fixed assets). They believe that streamlined corporate management is achieved when these three critical resources are in balance without any surplus or waste. For example: cash over and beyond what competent people can intelligently expend is wasted. Too many managers without enough money will exhaust their energies and involve their colleagues in a time-wasting warfare over the allocation of the limited funds. Of the three critical resources, funds should be allocated last. The corporation should first allocate management talent, based on the available mono: plant, machinery, technology, process know-how, and functional strengths. Once these hito have developed creative and imaginative ideas to capture the business’s upward potential, the kane, or money, should be allocated to the specific ideas and programs generated by individual managers. Description of 4 P’s of Persuasion. Explanation. DEFINITION 4 P’S OF PERSUASION. DESCRIPTION. 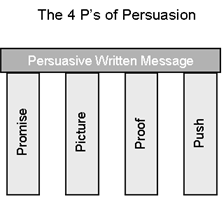 4 P’s of Persuasion is a framework to formulate persuasive written messages. The 4 P’s of Persuasion consist of a framework designed for written communication typically used by journalists although also applied in marketing, advertising and corporatecommunication. It might be used also in oral communication such as video or audio messages. The 4 P’s of Persuasion are a persuasive technique that suggests to stress some critical points, the 4P’s, to generate convincing, forceful, powerful, seductive and strong messages. See also: Persuasion Theory and Persuasion Principles. Generating the optimal response in the market. Explanation of Marketing Mix of E. Jerome McCarthy. The Marketing Mix model (also known as the 4 P’s) can be used by marketers as a tool to assist in defining the marketing strategy. Marketing managers use this method to attempt to generate the optimal response in the target market by blending 4 (or 5, or 7) variables in an optimal way. It is important to understand that the Marketing Mix principles are controllable variables. The Marketing Mix can be adjusted on a frequent basis to meet the changing needs of the target group and the other dynamics of the marketing environment. Historically, the thinking was: a good product will sell itself. However there are no bad products anymore in today’s highly competitive markets. Plus there are many laws giving customers the right to send back products that he perceives as bad. Therefore the question on product has become: does the organization create what its intended customers want? Define the characteristics of your product or service that meets the needs of your customers. Functionality; Quality; Appearance; Packaging; Brand;Service; Support; Warranty. How much are the intended customers willing to pay? Here we decide on a pricing strategy – do not let it just happen! Even if you decide not to ask (enough) money for a product or service, you must realize that this is a conscious decision and forms part of the pricing strategy. Although competing on price is as old as mankind, the consumer is often still sensitive for price discounts and special offers. Price has also an irrational side: something that is expensive must be good. Permanently competing on price is for many companies not a very sensible approach. List Price; Discounts; Financing; Leasing Options; Allowances. Available at the right place, at the right time, in the right quantities? Some of the recent major changes in business have come about by changing Place. Think of the Internet and mobile telephones. Locations; Logistics; Channel members; Channel Motivation; Market Coverage; Service Levels; Internet; Mobile. (How) are the chosen target groups informed or educated about the organization and its products? This includes all the weapons in the marketing armory – advertising, selling, sales promotions, Direct Marketing, Public Relations, etc. While the other three P’s have lost much of their meanings in today’s markets, Promotion has become the most important P to focus on. Advertising; Public Relations; Message; Direct Sales; Sales; Media; Budget. The function of the Marketing Mix is to help develop a package (mix) that will not only satisfy the needs of the customers within the target markets, but simultaneously to maximize the performance of the organization. There have been many attempts to increase the number of P’s from 4 to 5P’s in the Marketing Mix model. The most frequently mentioned one being People or Personnel. Booms and Bitner have suggested a 7-Ps approach for services-oriented companies. Esteem. Esteem is the perceived quality and consumer perceptions about the growing or declining popularity of a brand. Does the brand keep its promises? The consumer’s response to a marketer’s brand-building activity is driven by his perception of two factors: quality and popularity. Both vary by country and culture. Knowledge. 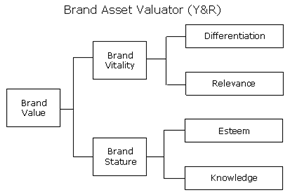 Knowledge is the extent of the consumer’s awareness of the brand and understanding of its identity. The awareness levels about the brand, and what it means, shows the intimacy that consumers share with the brand. True knowledge of the brand comes through building of the brand. 3rd Party Logistics (3PL) is the supply chain practice where one or more logistics functions of a firm are outsourced to a 3PL provider. Typical outsourced logistics functions are: inbound freight, customs and freight consolidation, public warehousing, contract warehousing, order fulfillment, distribution, and management of outbound freight to the client’s customers.